Late-night radio show psychologist Rain Sommers is used to the crazies who call in to rage from the back alleys of the French Quarter and the shadows of the bayou. But one caller's chilling obsession with her and her long-ago murdered mother - an iconic singer beloved among the city's Goth community - has even the jaded Rain running scared as a sadistic serial killer known as the Vampire prowls New Orleans. 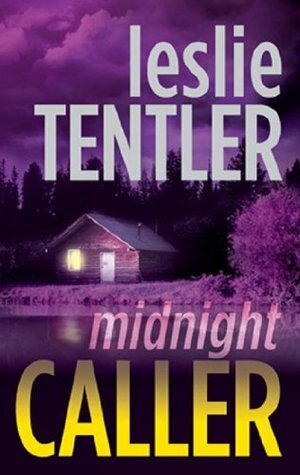 FBI agent Trevor Rivette is convinced her midnight caller and the killer are one and the same. As it becomes disturbingly clear that the Vampire has a sick bloodlust only Rain can satisfy, she allows Trevor to get closer and closer. But he soon discovers that his secretive past and troubled present are intertwined - and that he may die trying to keep Rain's fate out of a madman's control. Nothing like a nice little romantic suspense, crime thriller mystery to side-track you from your already packed reading list. I'm always up to reading a good crime mystery book when one sneaks up on me... and this one certainly did. Typical crime mystery formula with the usual romance and character types. Enjoyable and intriguing enough that it caught my interest from the beginning despite being knee-deep in books. Rain and Trevor are a nice couple, but they don't stray from the standard formula of the Hero and the Damsel. I still liked both of them and thought their romance had a nice build up, even if the feelings came on a bit more quickly than I would have liked. Side characters were great. The mystery was rather predictable. The Goth culture was interesting to have included. A good book for a rainy day.